I have mentioned before how books about WWII have to be something a little bit different in order to grab me as it’s a subject that gets written about one heck of a lot. From its blurb ‘The Report’ by Jessica Francis Kane looked like it would be such a book, as rather than being a telling of the war it focuses on one of the biggest tragedies at the time, and one that wasn’t caused by a bomb. I first heard about the book on ‘Books On The Nightstand’ where it Ann Kingman raved about it and then again on Open Book on Radio 4 where Mariella Frostrup (who I love and would like the jobs of please) gave its author rather a grilling. Jessica Francis Kane’s debut novel ‘The Report’ centres around the true-life tragic deaths of 173 people, 62 of which were children, who were making their way into Bethnal Green Underground Station on March the 3rd 1943 to use it as an Air Raid shelter. Yet this was not caused by a bomb but a sudden case of mass hysteria as the crowd entering were suddenly alarmed, and so surged into the entrance causing a crush. Initially the whole incident was hushed up, however not too long after an inquiry and afterwards ‘a report’ was established. Jessica Francis Kane explores the process that happened and the people who this happened to in the guise of fiction or faction, or whatever the term is. Initially I have to admit that I was a little disappointed by the book and though this didn’t last I do feel I should explain why. The book is separated into sections and during ‘The Shelter’ I could tell Jessica Francis Kane could clearly write but something was causing a real distance between myself and the events and people. At first I thought it was that the jumping of perspectives, one minute we are with several different characters (confusing enough initially) and their viewpoints of the events, and then we are with Laurence Dunne the man behind the investigation both in 1943 and also thirty years later when he is asked to be part of a documentary. Yet as this went on I got used to who we were with and what was going on, that really was me as a reader not the book in this case. I then realised that while I was reading a book that was meant to be fiction in actual fact the level of research that Francis Kane had done (to her credit and without showing off) in order to make the inquiry so real to the reader was in fact making me feel like I was reading non-fiction. Really good non-fiction though. This, technically, was rightly so as this book is a fiction retelling on an inquiry where people simply tell the facts of what happened, rather than the event itself. In some ways, and I don’t know if this was because of the fact it was a real life event and those effected by it and their descendents are still living, the author does try and veer the reader away from the actual tragedy on the underground staircase and I was expecting a lot more as if I was there when it happened and therefore giving me more of an emotional response to it. This comes later though. What Jessica Francis Kane then does in the section called ‘The Inquiry’, about 70 pages in, is build up on characters from the earlier parts of the book and interweave their stories of surviving and moving on in the aftermath of the event along with the how’s and why’s it happened. This then brought in the human element I felt I was initially missing out on. 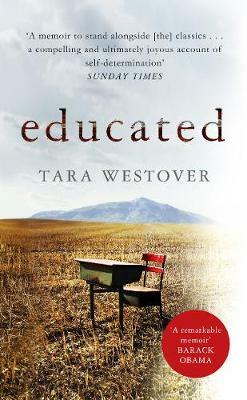 I was originally surprised not to see this book on the Orange list from premise alone, however with the slow start before the gripping pay off I can imagine if this was a book that had been put forward for ‘The Green Carnation Prize’ when we get so much to read, I might have not continued, but this wasn’t and so I did. So from that I can highly recommend that if you get this book, and it is worth getting, you keep going past page 70 and you will have yourselves a very interesting read ahead. This book was kindly sent to me by the publishers. This book has brought up the whole subject of facts in fiction and indeed the genre of ‘faction’. I think reading ‘The Report’ reminded me of reading, the also wonderful, ‘The Suspicions of Mr Whicher’ by Kate Summerscale which was the opposite of this novel as it was non fiction but read like fiction. Am I making any sense at all? Who else has read ‘The Report’ and what did you think? Which non-fiction books that read like fiction and which fiction books based on fact would you recommend me trying next? Which of the two styles do you prefer?